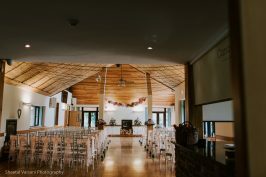 Rhodri’s by the Lake is a picturesque log cabin that is ideal for more intimate weddings or celebrations. It normally suits events of up to 60 people. 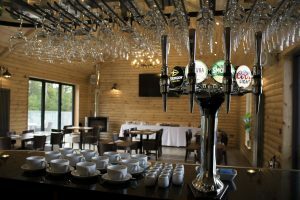 With its lakeside positioning, Rhodri’s is no less romantic a venue than the main Lodge. Furthermore you can expect the same levels of attention to detail from our team. As with the Lodge, when you hire Rhodri’s, it’s yours for the day. Our onsite, events team are on hand to help you every step of the way to ensure your special days is truly memorable. 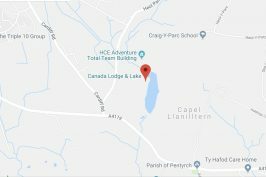 Rhodri’s is designed to be flexible, with a well-stocked bar, onsite kitchen, cosy woodburner and large glass doors leading to a lakeside balcony, this is a venue that equally suits summer weddings and cosy winter ceremonies. There are a number of catering options available and you can also book one of our special bridal cabins, which are a perfect and romantic spot for getting ready for your special day and to spend your first night as a married couple. 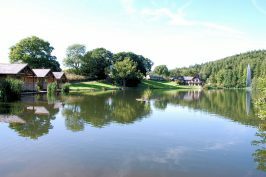 Thanks to the range of log cabins and apartments on site, your guests can also stay the night waking up to their own, private lakeside view.